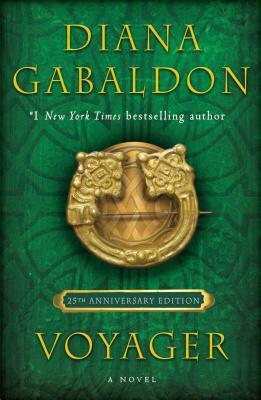 A lavishly produced collector’s edition of the third book in Diana Gabaldon’s blockbuster Outlander saga (now a Starz original series), featuring a new introduction by the author. He was dead. However, his nose throbbed painfully, which he thought odd in the circumstances. Jamie Fraser is, alas, not dead—but he is in hell. Waking among the fallen on Culloden Field, he is concerned neither for his men nor his wounds but for his wife and their unborn child. Lord, he prayed passionately, that she may be safe. She and the child. It’s a prayer he’ll utter many times over the next twenty years, never knowing but always hoping that Claire made it through the standing stones, back to the safety of her own time. Safe she is, but believing Jamie gone forever, she’s obliged to live without a heart, her only comfort their daughter, Brianna. But now, their daughter grown, she discovers that Jamie survived, and a fateful decision lies before her: Stay with her beloved daughter, or go back to search Scotland’s dangerous past for the man who was her heart and soul, sustained only by the hope that they will still know each other if she finds him. Diana Gabaldon is the #1 New York Times bestselling author of the wildly popular Outlander novels—Outlander, Dragonfly in Amber, Voyager, Drums of Autumn, The Fiery Cross, A Breath of Snow and Ashes, An Echo in the Bone, and Written in My Own Heart’s Blood—as well as a collection of Outlander fiction, Seven Stones to Stand or Fall; two works of nonfiction, The Outlandish Companion, Volumes 1 and 2; and the Outlander graphic novel, The Exile. She lives in Scottsdale, Arizona, with her husband.